I thought I’d come and take a look at your photography, and I’m very glad I did – you have some beautiful captures here! 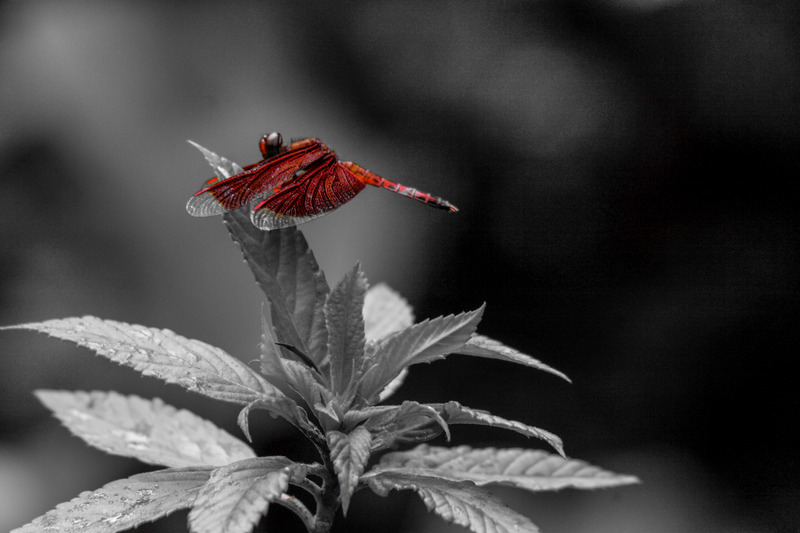 What an amazing picture of a dragonfly!!! I love the red contrasting with the black and white – perfect! Would you be interested in this picture being published as the front cover for the May/June issue of The Writing Garden? I always give a bit more attention to the front cover photographer or artist – links at the top of the issue and also more links and a special mention in my message at the end. But if you were keeping this exclusively for something else you have in mind, I’d understand, so please don’t feel pressured to say yes. Thanks so much, I’m sure it will look wonderful!! There is one thing I’ll need you to do though, could you post an email address where I can contact you, in my contact sheet on my about page https://wordmusing.wordpress.com/about/ So I can send you my email, then you can send me a copy of the image. Unfortunately your blog theme restricts the size of the image reproduced. When I save the picture, it shows as far too small to be added into a featured image on my blog theme. Most times I can avoid all the fuss just by saving a copy from the blog, but I have had to ask this a few times, to make sure the image is the correct size. I don’t want to post an email address here because it will probably get picked up by a spammer! So sorry for making things complicated, I hope you don’t mind me asking? I have replied at the link you enclosed.